MotoAdventure.Me: 300+ Subs and a New Bike! My youtube channel (youtube.com/tavisbogue) is now over 300 subs. I do youtube just for my own enjoyment, but it's still cool to see the channel grow. In other news, I just bought a new bike to commute on. 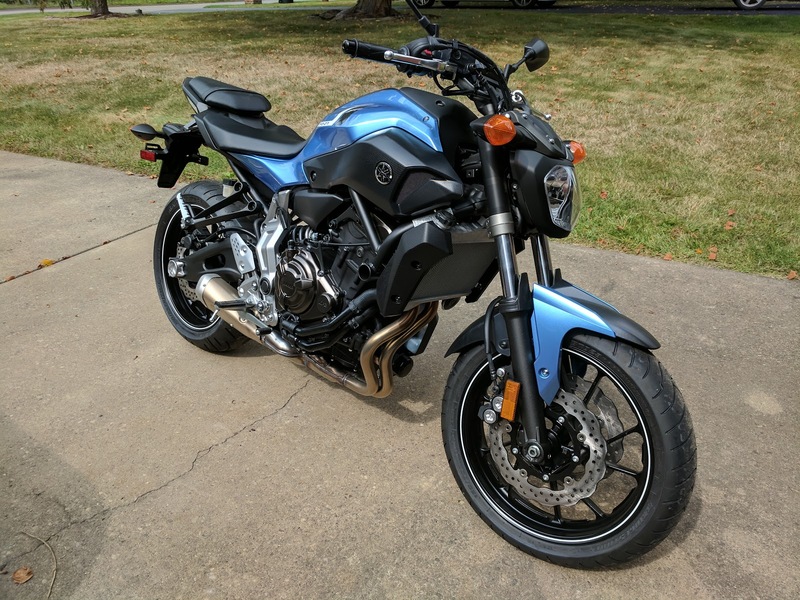 It's a Yamaha FZ-07. It's small, torquey, and maneuverable for fighting through traffic. It should be capable of 60+ mpg but the way I ride I'm currently getting about 45 on average. I'll have to do a tank of gas at a more miserly pace and see what I can get out of it. I've also been running the GoPro on my commute. Once I get enough footage I will do a commuting series to share the...highlights. Here's a video I made on this topic, you can check out the new bike and my initial impressions.